Rosie Newton grew up immersed in the rich folk music scene of Woodstock, NY, and began playing the fiddle when she was eight. Newton attended college in Ithaca, NY, where she studied Viola Performance. While in Ithaca, she found herself swept up by the area’s music scene, which infused her with a deep appreciation for the beauty and diversity of roots music. Newton’s interests now span a wide range of musical styles, from Irish and old time to country and pop. She recently toured the Northeast playing zydeco fiddle with Louisiana legend Preston Frank. Newton currently performs in a duo with Richie Stearns, and plays with The Duhks, Red Dog Run, the Evil City Stringband, Home Remedy and occasionally The Pearly Snaps. She has recorded two CD's with her duo projects: The Pearly Snaps, self titled, in 2010, and Tractor Beam, Richie and Rosie, in 2013; and recently released a CD with Red Dog Run. Her fiddling can also be found on the new Duhks record, Beyond the Blue. Newton has taught fiddle at Sunshine Coast School of Celtic music, the Taylor Music Festival and the Black Pot Camp. 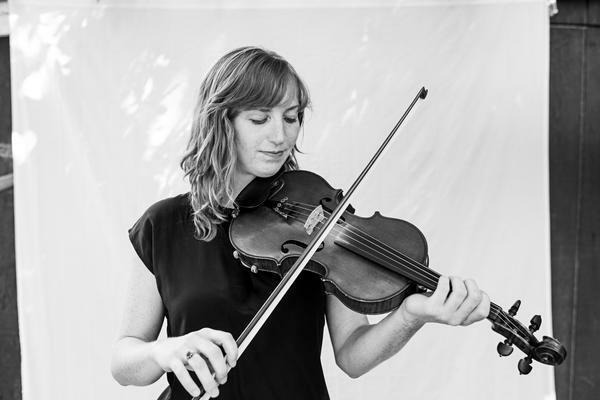 She has appeared at major US music festivals (Rhythm & Roots, Newport Folk Festival, Philadelphia Folk Festival, MerleFest, DelFest) and has performed with Natalie Merchant, Chris Eldridge (Punch Brothers), and Jefferson Hamer (Anaïs Mitchell/Child Ballads). She hopes to continue traveling the world, meeting musicians of all kinds, and exchanging with them her own musical perspective.